It’s now December and Christmas is officially within reaching distance! However, we like to get into the Christmas spirit quite early on in the Oak Studio, not only because we love this festive time, but also because we start working on our customers’ Christmas campaigns nice and early! 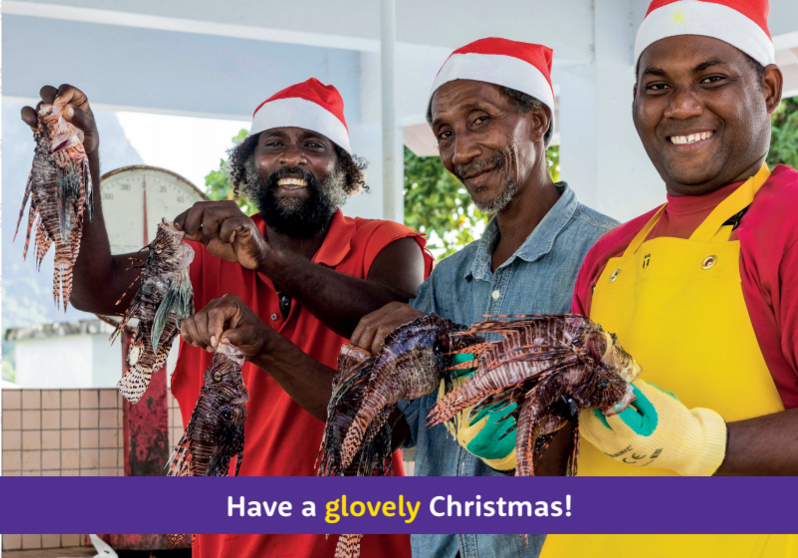 Because it’s Christmas, Holiday Extras have generously donated to the Travel Foundation’s Lionfish project. They have matched their total spend on gifts in a donation to support the conservation of native fish reef stocks around St Lucia. The donation will help to supply local fishermen with protective gloves to ensure they’re catching the invasive Lionfish species safely (hence the picture!). This Christmas card will go to Holiday Extras partners, to celebrate their donation and help spread the message about this lesser known project. It wouldn’t be Christmas without the classic ‘snowy’ animated e-card! This year Ocean Signal have placed their range of rescue products in Santa’s hand – even Santa can occasionally get lost on his travels around the world! Each year the Port Lympne hotel transforms into a magical Winter Wonderland display, hosting Christmas parties and dinners. The advertising starts early in the season so Oak Creative create marketing materials such as posters and leaflets to entice customers to celebrate at the Mansion. 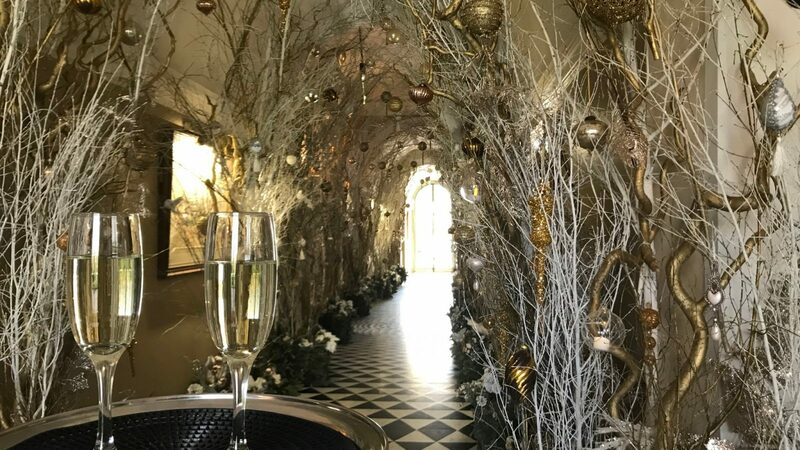 Port Lympne started preparing for Christmas back in the Summer months to create this magical venue. 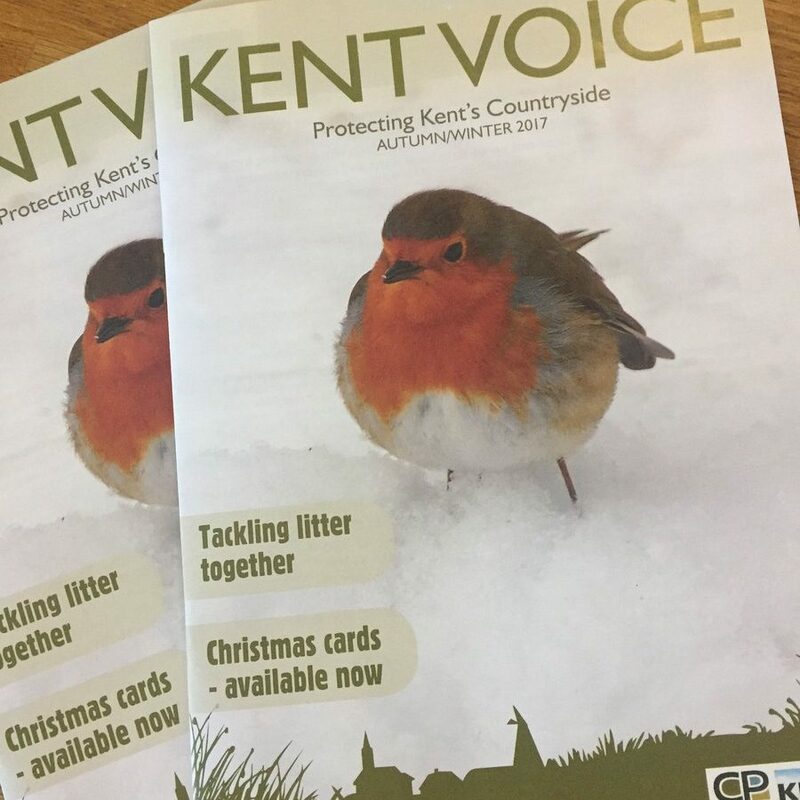 CPRE (the charity behind Kent Voice) are renowned for selecting stunning, seasonal, British imagery for their magazines and this latest edition is no exception. Featuring ‘Mr Robin’ stood in the white snow, we couldn’t help but start to feel festive when this magazine was completed in November. To make sure their website has a fun, festive feel, Holiday Extras asked us to polish a series of humorous Christmas travel images to accompany the booking engines for each of their airport products. 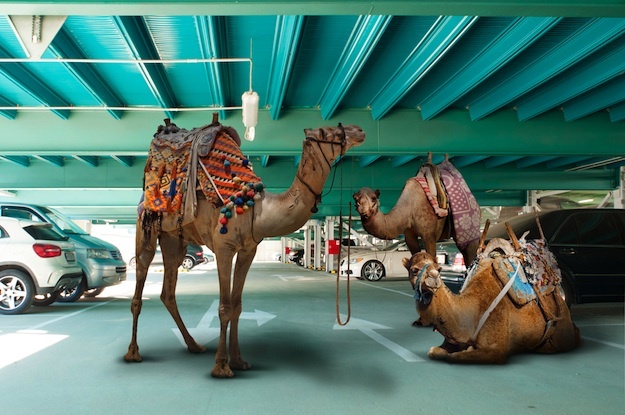 We’ve taken normal everyday travel situations, and added a Christmas twist, working closely with their creative director. Keep an eye on the Holiday Extras website to see the complete series – we hope you like them! To be fair, we didn’t actually do anything towards this one but Nip from the Hip deserve a mention for their place in the fabulous Fenwicks window display. 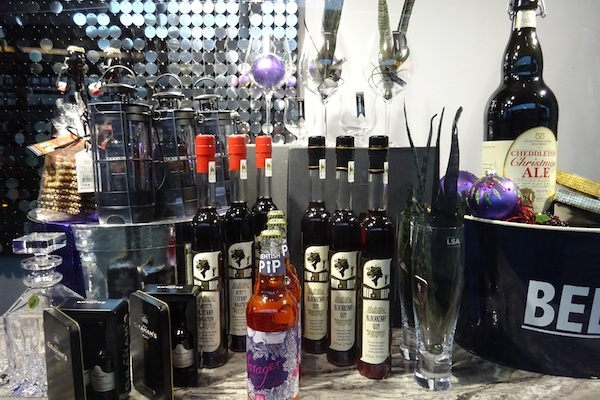 Whilst Christmas shopping in Canterbury, you will see a selection of Nip from the Hip bottles in the festive shop window. It is great to see the labels we designed on display alongside other well known food and drink producers. Enjoy a tipple this Christmas, we certainly will! Get your orders in on their fabulous website!